Though authorities have yet to officially identify any suspects or conclude any motives in the investigation of the multiple bombs on Saturday, ISIS supporters wasted no time applauding the IEDs planted in NYC Saturday night, praising the harm done to freedom-loving Americans. Just as they did after the Paris attacks, the Munich shooting, the Orlando nightclub massacre, and more, celebratory ISIS supporters praised the intentional acts of terrorism against “infidels” and the west. 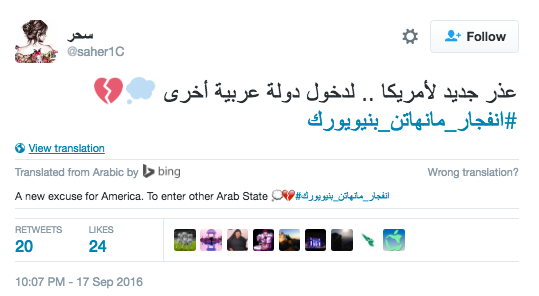 Many of the tweeters used the arabic hashtag that translated to “#ExplosionManhattan” to commend the bombing on 23rd street in the heart of the Chelsea neighborhood of Manhattan. Vocativ reported that most of the supporters were not officially linked to a terror organization but rather just critics of America, mainly from Saudi Arabia. Another user whose handle is @Wolf00090 tweeted “Allahu Akbar God burned America. may you avenge oppressed servants and traces of blood or continue” and used the arabic version of the hashtag “#ExplosionManhattan”. 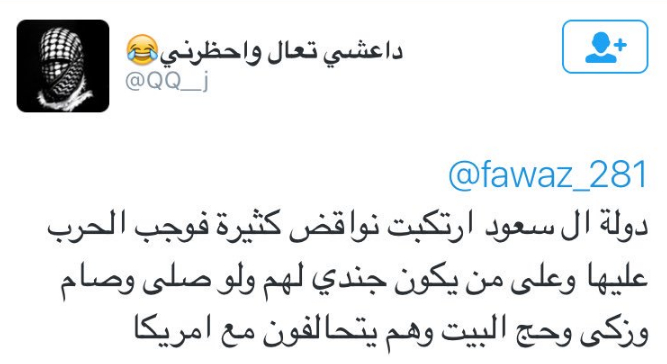 User @saher1C said expressed that these attacks would be used as a new excuse for America to enter an Arab country. 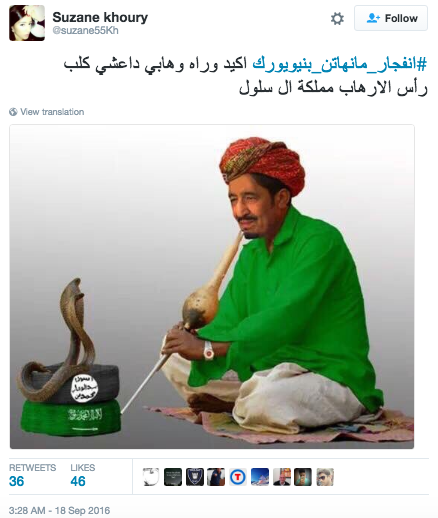 A User by the name of @nhawy____33 tweeted ““Oh God go against America, the head of infidels. Oh God, count them and kill them one by one, and do not spare anyone of them.” but has since protected their account, making their tweets only visible to those who follow them. 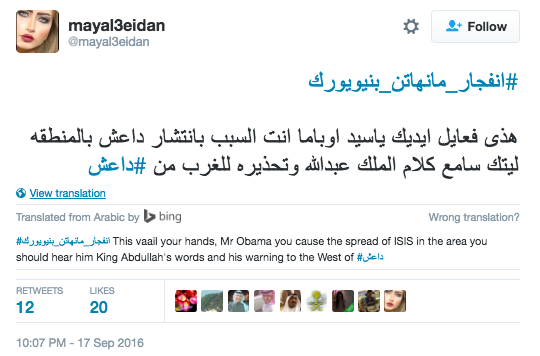 Soon after the attacks, @mayal3eidan tweeted a message directed at President Obama, blaming him for the spread of ISIS and that this should be a warning to the west. While 29 people were injured in the bombing on 23rd street, it is a miracle that no one was killed. Despite zero fatalities and no word of a suspect or motive, ISIS supporters still rejoice at the idea of American civilians getting injured for choosing to embrace a freedom-loving Western way of life.